Apparently some perv from England got nabbed my mall security for some sickeningly odd behavior. 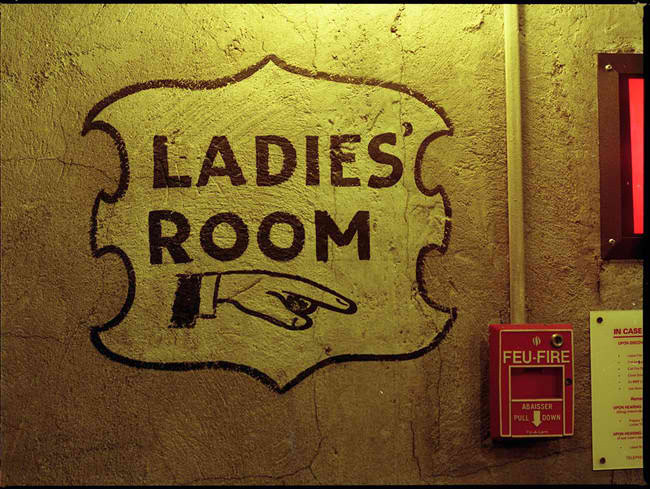 The unnamed 22-year old suspect was caught in a ladies’ room cubicle after taking pictures of women’s feet while they were in the loo and recording the flushing sounds. But wait, it gets weirder. The totally headscratching bizarre part is the 22-year old perv had a costume on. It wasn’t a clown suit, mind you. He was dressed as a female mannequin, complete with mask and wig. What the heck, right? The series of unfortunate events in the shopping mall restroom has already gone the rounds in other news outlets, eliciting much painful laughter and mild shock. To be honest, the Edgbaston lad behind this dastardly deed should’ve disguised himself as a waste basket. Problem is he’ll get discarded tampons and various dirty stuff all over him, things that don’t turn him on. So the moral of the story for the girls is, next time you enter a ladies’ room watch out for those mannequins.